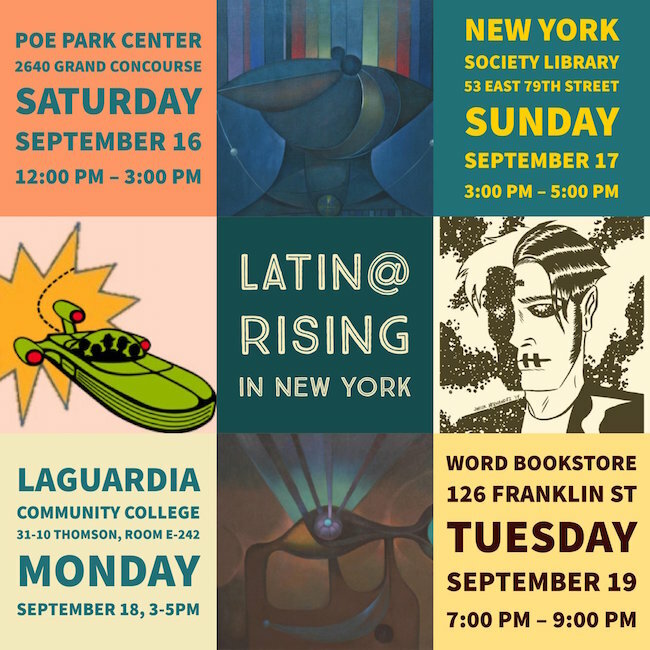 This September I’ll be doing a series of events to help promote Latin@ Rising: An Anthology of Science Fiction and Fantasy. The book’s stalwart editor, Matthew David Goodwin, is flying into NYC from Puerto Rico and hitting four of the five boroughs, so many of the local-area writers from the collection will join him in events. 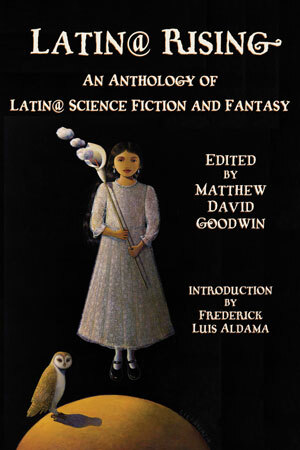 You can find out more about the book here, and Matthew discusses my short story here. The book began with a successful Kickstarter campaign before it was picked up by Wings Press. This Foreword Reviews article also gives a great overview of the book’s genesis. All these are free and open to the public. 2640 Grand Concourse, Bronx, N.Y. 10458 | Saturday, September 16, 12-3 p.m. Scheduled participants: Matthew David Goodwin, Carl Marcum, Pedro Zagitt, and myself. 53 East 79th Street New York, N.Y. 10075 | Sunday, September 17, 3 p.m. RSVP. Scheduled participants: Carlos Hernandez and Sabrina Vourvoulias will be there with Matthew and me. 31-10 Thompson Avenue, Room E-242, Long Island City, Queens, N.Y. 11101 | Monday, September 18, 3-5 p.m. Scheduled participants: Matthew David Goodwin, Carl Marcum, and myself. 126 Franklin St, Brooklyn, N.Y. 11222 | Tuesday, September 19, 7 p.m. Scheduled participants: Matthew David Goodwin, Carlos Hernandez, Carl Marcum, Sabrina Vourvoulias, Pedro Zagitt, and myself.